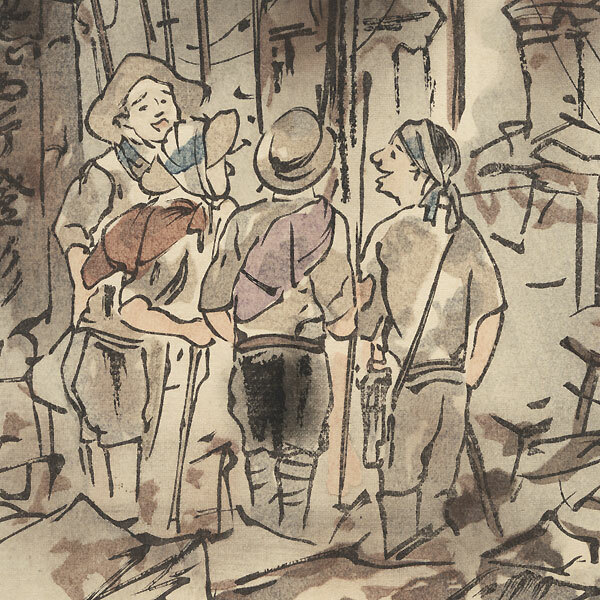 Collection of Woodblock Prints of the Taisho Earthquake - The Great Kanto Earthquake on September 1, 1923 remains one of Japan's greatest natural disasters, devastating Tokyo and the surrounding area. The destruction caused by the earthquake itself along with tsunami that followed and rapidly spreading fires resulted in terrible loss of life and property, with more than 100,000 people killed. 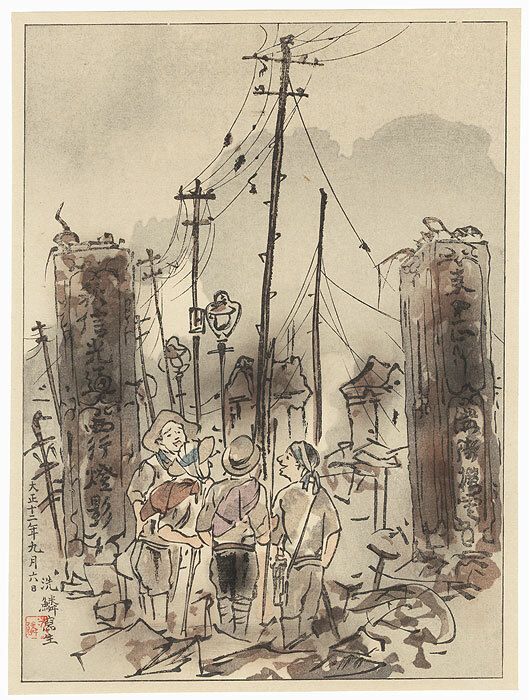 In 1924, the woodblock publisher Gahosha commissioned six artists to record the damage throughout the city, with each artist contributing six designs to a series of thirty-six prints titled "Collection of Woodblock Prints of the Taisho Earthquake." These prints offer fascinating firsthand views of the aftermath of this catastrophic event. A great choice for a student of history or a collector interested in modern Japanese woodblocks. The first time we've offered prints from this series. Condition - This print with excellent color and detail as shown. 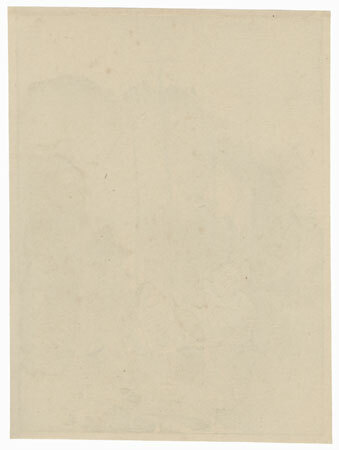 Slight paper remnants on reverse at top edge from previous mounting. Slight toning. A couple prints have partial labels on the reverse. A couple have a few small spots or marks. Please see photos for details. Generally in nice condition overall.